Over 40 million Americans suffer from Myofascial Pain Dysfunction (MPD), a condition that causes headaches and muscular pain. Dr. Klim uses advanced biofunctional diagnostic techniques to decrease painful tension in the head, neck, and shoulder muscles. Many suffer from Myofascial Pain Dysfunction (MPD) and are not sure of the nature of their condition and how to solve it. You may have heard other terms that describe this condition such as TMJ or TMD. This is short for Temporomandibular Joints. Craniomandibular Dysfunction (CMD) or Temporomandibular Disorder (TMD) are another terms dentist use. The biofunctional balanced approach is ADA and FDA approved. This technology is scientific and is validated as an aid in diagnosing head, bite, and neck disorders. Underlying conditions relating to TMJ-like symptoms often involve a combination of systemic, emotional, and structural leading to physiologic imbalance. If we were to compare headaches to an overflowing dam, the reservoir is filled with run-off from rain, hail, sleet, and snow. When too many of these factors are present, there is an overflow resulting in a flood over the dam. Similarly, postural, emotional, systemic, and structural contributing factors may overflow the neurological threshold to culminate in symptoms borne by the head, neck, and jaw. Transcutaneous Electrical Neural Stimulation (TENS) and Electromyograph (EMG). These instruments have been used for years in medical specialties and is now being used in dentistry to measure muscle dysfunction of the jaw, which is the major culprit in over than 90% of patients reporting headache profiles. When one is experiencing MPD symptoms, there is most always an underlying structural and postural problem with the neck and jaw. This leads to over-activation of the jaw, head and neck muscles. And, in time, will lead to tension, spasms, and pain. To improve MPD symptoms, the jaw and neck posture must be brought back into physiologic balance. As described above, multiple symptoms make MPD difficult to diagnose. This is why an accurate diagnosis is important prior to expediting a solution. The major component of diagnosis in our office is cone-beam CT (CBCT) analysis, Jaw Tracking, Transcutaneous Electrical Neural Stimulation (TENS), Electromyograph (EMG), and Jaw Joint Sonograph. These instruments have been used for years in medical specialties and are now being used in dentistry to measure postural balance and muscle dysfunction of the jaw, which is the major culprit in the majority of patients reporting headache profiles. If you have further questions, or think you may have symptoms related to MPD, TMJ, or TMD, please schedule a consultation with Dr. Klim. Orthotic providing postural balance for the bite. Jaw joint after decompression with a bite orthotic. 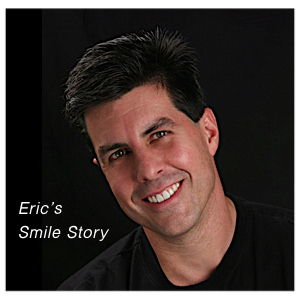 An important component of smile design is to make certain that the biomechanical system is working well. How the lower jaw moves makes an incredible difference on how a person’s muscles feel, how the teeth wear, and the shape and appearance of the face. As you can see in the before and after repose and profile examples (Lisa, Michael, and Beverly), there are major enhancements to the facial features. In these particular cases, the teeth get their day in the spotlight. However, it is Dr. Klim’s purpose to round out the presentation by paying close attention to the position of the upper lip, the contour of the lower face, and to create conditions conducive to happy muscles of the head, neck, and shoulders. When the muscles responsible for moving the lower jaw are in optimal condition, there is a corresponding impact on the openness of the eyes, the distinctive cheekbone line angles, and the length of the lower face. After corrective treatment, you will notice that the face appears to be more relaxed, giving the person a more peaceful countenance. One of the many rewarding benefits about Biofunctional Balanced Dentistry is that it involves more than teeth. It is the full encasement of happy face muscles, balanced head and neck posture, smooth facial lines, relaxed countenance and a radiant smile that says, “I am having a great face day!” with out facial and nec.